Re: What's your weather currently? Sunny and 35. Heading for a high of 44. Slowly recovering from Wednesday's blizzard/bomb cyclone. Well, today's nice weather has taken a turn for the worst! High of 72F tomorrow, nice and sunny to boot. Perfect day to track down an old US Route. Do you ever see three of your own posts in a row and wonder if posting is really necessary? There is a trend. The weather is getting colder. 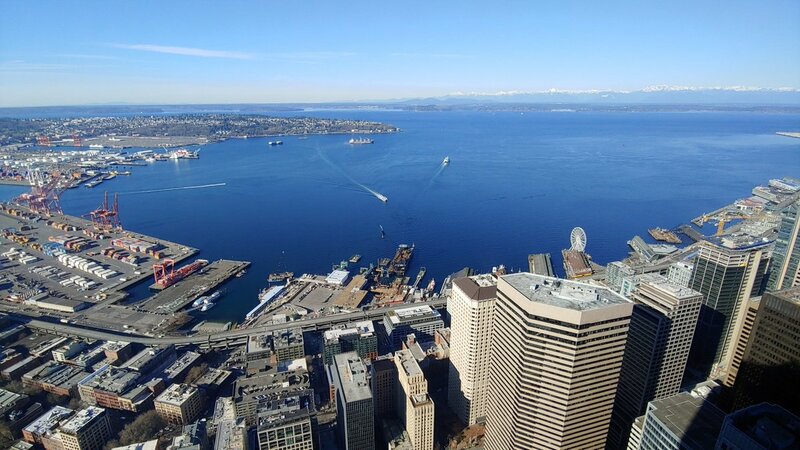 Seattle is currently setting new winter heat records. 74 on Monday, even higher expected on Tuesday. Just nuts. Felt like summer but all the trees are still dead! First day of shorts and T-shirts for me this year. Hard to believe its never been this warm in Winter before. I'm thinking tomorrow might be a new record? Not as warm as Seattle, apparently. Clear skies and 39 to start us off this morning, headed for the upper 50s later. According to our local forecasters, we're in the middle of our first completely dry week since September! As if that matters. We all know you are going to post regardless of what happens. Finally have some average temperatures this week, upper 40s and lower 50s. I think we can say goodbye to the teens and 20s for highs at least until next December. Seattle set a new record high for winter and March. All of this only weeks after one of our largest snowstorms in recent memory. Combining the sunshine with a lack of real pollution made for some pretty views. We actually had quite a swing today. My house (in suburban Pierce County) woke up around 32, but ended up just short of Seattle's high (around 77 here). 37 and sunny, high of 51. Sunny and 55 in Denver. Finally, a seasonal day. 34 and cloudy, with snow on the ground. 46 with sun, high of 59. 39 and partly cloudy, high of 49.